Nikolas Cruz was known to the students at Parkland High School to be violent. Troubled. Deeply disturbed. Parkland High School students and teachers knew of Cruz’s violent nature. They knew he spoke of committing terrible acts against animals, acts that seemed to give Cruz pleasure. No normal human being commits such acts. They are the behavior of someone completely devoid of empathy. They are acts of a dangerous and very sick individual. Then, after Lynda Cruz died last November, Nikolas asked a former schoolmate (at another school) whether he could move in with his family. He was taken in by the parents of his former schoolmate, kind and generous people who were unaware of his violent disturbed nature. The family chalked up Cruz’s depressive mood to the loss of his parents and the home life he knew. Little did they know. 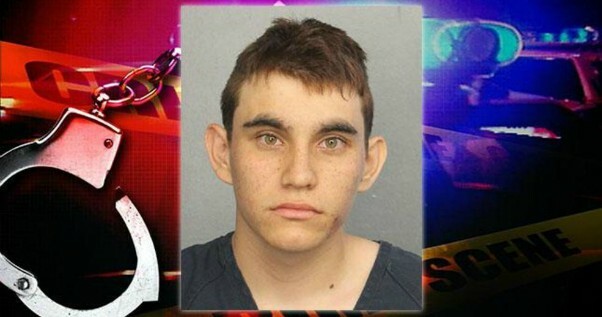 Facilitated and emboldened by the lack of any action by responsible adults who did know enough about Cruz to have taken proper action to protect society from him, Nikolas Cruz told the world in a comment over the internet, “Im going to be a professional school shooter”. This was several months before he lost his adoptive mother to pneumonia, so the comment cannot be excused as an act of depression in response to the loss of his mother. Evidently, the FBI did not interview students or teachers at Parkland High School. Evidently, the FBI did not interview police to learn of the violent nature of Cruz’s actions. Evidently, the FBI did not investigate Cruz’s gun purchases. But they did not. They didn’t examine a single dot. The excuses paraded by former FBI officials on TV news channels are insulting and abhorrent and, quite frankly, bovine excrement. Even if the FBI believed they were not the proper authorities to follow-up and investigate, they had an obligation to contact the proper authority and make certain they were fully aware that this was a lead that needed to be investigated, but they didn’t even do that. So 17 innocent lives were lost and a deeply-troubled teenager’s life has been irreparably ruined. All because the FBI could not focus on their primary obligation. To protect innocent lives. No more FBI bovine excrement. We’re getting enough of that from a manic-media, a corrupt Congress, and a criminal federal bureaucracy.